If you demand the highest performance from your two way radio by Baofeng, you cannot settle for less from the accessories. Baofeng radios are Chinese, but this doesn’t mean they are not good radios. You receive for the price you invest, but for several usage Baofeng are more than enough. What could make the difference are the accessory set. What do you buy ad Baofeng accessory will affect the confort of your operations. This is the reason why you have to carefully select all the accessories. In this video you will discover a simple overview of the entire set of accessories available for Baofeng, especially the BaoFeng UV-5R. 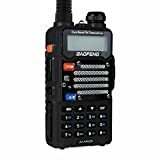 In the following rows you will find a list of interesting accessories and gadgets able to accompany every Baofeng Radios. TENQ 2 pin Clear Acoustic Tube Covert Earpiece Earphone Headset PTT(Push To Talk) with built-in line mic microphone for Kenwood Wouxun Puxing Baofeng Radio Bodyguard FBI Security Door Supervisor 3pin. Clip this hands free earpiece onto your shirt and begin using your radio device to communicate discretely and easily, whether you're in security, retail, or hospitality. Ideal for demanding covert security applications where sound clarity and earpiece durability are of paramount importance. Excellent for use in police, military, nightclubs, bars, paintball, security, restaurants, hotels, bouncer, warehouses, and noisy environments. Add a 3.5mm listen only earpiece for the ultimate accessory solution in loud environments! Durable coiled cable supports high-tensile. Handheld speaker microphone, easy to speak and hear. Red light indicates signal transmit status. With anti noise design microphone for clear communication. With mono channel earphone port design. Original Baofeng Programming Cable for Two Way Radio. Support Window 10, Windows 7, 64 Bit System; Not Support iOS System: Mac OS X、OS X、macOS. Compatible with Baofeng Two Way Radio (Baofeng UV-5R/UV-5RA/UV-5R Plus, BF-888S, UV-5R EX, UV-5RX3, Radioddity GA-2S, GA-5S. In new Cable package, the CD might not included please contact the seller to download the Installation Guideline. Support Audio + Charge iOS 10.3/11.4 or Later: It Supports Charging And Audio Outputting Simultaneously. Premium Sound Quality:The cord to Audio cable is built with upgraded chip to read data fast and ensure the stability and fidelity of sound transmission, giving you a fantastic music trip and experience when using this aux cord. Service and warranty: We provide a 3-Month Worry-free warranty. If you have any questions, please don't hesitate to contact us. PLEASE NOTE : This adapter does not support Phone call. Noted: This item is No Include Screw ! Note: Two-way radio is not included in the case. Protect your radio from scratches and dings while making it water resistant. It is widely used by people that work in police station, military, hospital, security office, eatery and many other places. With three angle rope lanyard, four hook, and adjustable shoulder strap, it just need to adjust once instead of everytime. Commonly Used in RF Applications, Antennas, Wireless LAN Devices , Coaxial cable, Wi-Fi Radios External Antenna, >1000 Times Mating Life Time. DHT Electronics Brand is a Registered Trademark of DHT LLC.Only authorized seller of DHT Electronics can sell under DHT Electronics listings. 2 pin Flexible Throat Mic Microphone Acoustic Tube Covert Earpiece Earphone Headset Finger PTT(Push To Talk) for Kenwood Puxing Wouxun Radio Security Door Supervisor 2pin. Specifically designed for demanding tasks in paintball / airsoft setting. It is also widely used in discreet communications. With the best-quality transparent acoustic tube that could hardly be detected by people around you, this is also ideal for surveillance purposes and security at airports, casinos, crowd control at conventions and concerts, and other working environment requiring discreet communications. Pro D Shape Ear Hook Earpiece Headset fits snugly on your ears that comfortable to wear for long time work, It hygienic and lightweight and compact that can be on left ear or righter, adjustable for either side. A 2 pin earpiece headset with PTT and the microphone provided real hands free, providing you clear sound performance without distortion for both listen and talk. keep your communication private. PU Wire cable for greater durability and clearly transmit voice in extreme noisy environments. Iideal for police, military, nightclubs, bars, paintball, security, restaurants, hotels, bouncer, warehouses. See compatible radio list in description, 2 pin K connector compatible with lots of Radios from Kenwood HYT, Puxing, Wouxun Baofeng; but not for Midland or Motorola. Make Selection carefully. Want different earpiece models offered by Arama or more discount( 6pack \ 10pack ), Search Arama earpiece for Kenwood or Arama K01 and make selection. Total length about 165 cm; Length from D-ring to PTT is 65 cm; Length from PTT to connector is 100 cm. Long wire so nothing pulls when plugged into radio. The connections that plug into the radio are nice and tight. We provide one year warranty and 30 days return for any reason. Size: 125mm x 65mm x 45mm (4.92 x 2.56 x 1.77 in), 172g. 3 in 1 design(hand/belt/neck), Waist hanging, chest hanging, shoulder hanging are available. makes it suitable for all kinds of needs like police, fireman, security Guard, first-aid personnel and so on. Nylon case radio holder for Kenwood, Quansheng, Puxing, Wouxun, ICOM, YAESU, Motorola, Midland two way radio Walkie Talkie. Nylon radio holster constructed by high quality and durable nylon material, high elastic rubber. In the following rows you will be delighted by a complete set of Baofeng antennas for various usage. Check it out. The Original SRH805s Whip Antenna will allow you to get longer range on your handheld radio, like BaoFeng UV-5R radio. This antenna features a 2.15/3.0 dBi signal with up to 10Watts of power. This antenna is almost 16 inches long and is a must for outdoor and camping usage. This is a soft flexible antenna able to withstand more 'roughness' than a stock radio antenna, all while boosting the signal of your radio significantly! To avoid counterfeit Nagoya models - insure your listing shows "sold by BaoFeng Tech"
Compatible with most of BAOFENG, LINTON, PUXING, QUANSHENG, FEIDAXIN etc. Magnetic Vehicle-mounted Antenna:It is a Mini Antenna,So Maybe The Real Product is a Little Different from the Picture. Those are a list of selected Baofeng accessories available on Amazon. 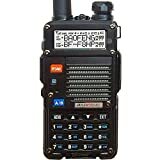 We always want to highlight that Amazon is a super valid sources to buy cheap radios and accessories because offer a guarantee that many other supplier cannot provide. Check it out!